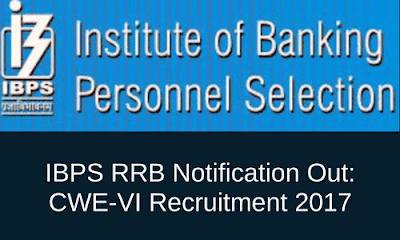 Institue of Banking Personnel Selection has released the IBPS RRB 2017 recruitment notification. Common Written Exam (CWE)-VI in Regional Rural Banks (RRBs) will be held by 1st week of July. Mains Exam For Office Assistant: 11th November 2017. A single exam will be conducted for Officers Scale-II and Officers Scale-III on 05th November 2017.